Q: Social media gurus talk in praise of the tribe. But who stands up for the herd? A self-proclaimed Luddite, Rebanks is a British farmer and author of the best-selling memoir The Shepherd’s Life. With 75,000 followers, he’s also a Twitter phenomenon. “Fortunately, the world is not built solely to serve good natured herd animals their little happiness,” the free-spirited philosopher Friedrich Nietzsche once said. 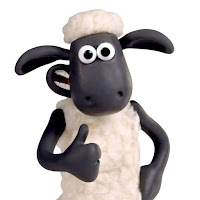 “I define ‘sheepwalking’ as the outcome of hiring people who have been raised to be obedient and giving them a braindead job,” Seth Godin says. Intentionally or not, Rebanks has flipped the model. Or should I say, tipped? Suddenly sheep are superbly chic. SPEAKING OF TIPPED: Ann Ramsey tipped me off to the Herdwick Shepherd.